Release includes a booklet with lyrics and credits. Track 2 original title 'Where To Turn'. Published by Universal Music Publishing Ltd except track 5 published by Universal Music Publishing Ltd / Copyright Control and track 6 published by Delabel Editions / EMI Music Publishing Ltd. / Universal Music Publishing MGB Ltd.
℗ 2011 Polydor Ltd (UK) © 2011 Polydor Ltd (UK). The copyright in this sound recording is owned by 2011 Polydor Ltd (UK), A Universal Music Company. Wasn't really sure what to expect from this album. 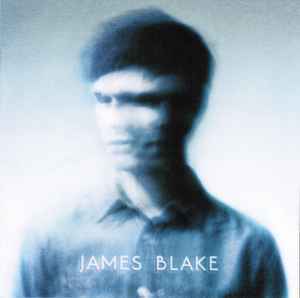 The name 'James Blake' seems to get passed around a lot, but I've never stopped to read-up on him. I've heard a few things by him in mixes, mainly fairly good (UK) dubstep. Discogs has this album as 'Leftfield, Dubstep, Soul, Vocal'. After my first listen, it felt comparable to a minimal indie rock or spoken-word album - any Dubstep is minimized to an 'influence' role. The music is secondary to his voice in most tracks, playing an emphasis or punctuation role. Sometimes the music drops out altogether. In the best tracks, this feels like he's surpassed the need for complicated sound structures beyond what his voice and some slight modulations produces, and created something that's hard to compare to. But if that seems too pretencious (and about a third the time it is for me), you're limited to the tracks with a bit more music ('I Never Learnt To Share', 'I Mind', and the one most people are likely to have heard, 'Limit To Your Love'). But even those have to be surrounded by similar material - they don't transition well with anything other than minimal techno or ambient or quiet indie stuff, just because there's so little to transition with. So you'll want to listen to the album on it's own (easy to do on a CD, but something to remember for a digital purchase), or gather stuff of similar sound to accompany it. All in all, it's worth hearing, and you might even quite like it: it's definitely unique. But you can just as easily be bored if his voice turns you off, since that's all there is. Borrow it if you can (don't youtube it unless you can get a playlist with all the tracks together), and see if it works for you.